As I was browsing the model figures at Yodobashi Camera in Akihabara I ran into this collection series. 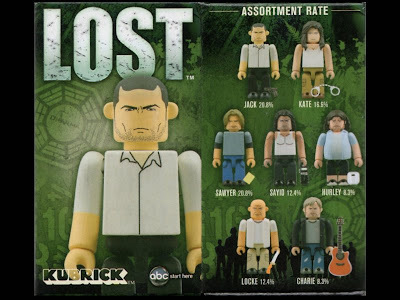 I actually had to do a double take because I was rather surprised to find a figure collection series for the television show LOST. As you can see from the picture above, there are seven different character figurines available. As I mention in an earlier posting these collection sets only come with one figure inside and you don’t know which one you will get. I was lucy enough to get my favorite character Sayid. I may buy a few more boxes of this collection for two reasons. 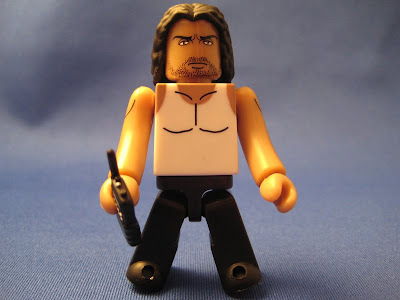 One, I have heard these Krubrick sets are highly sought after and two, I would really like to have that Kate figure.